LightWall Backlit Tabletops are the small display that makes a BIG impact. 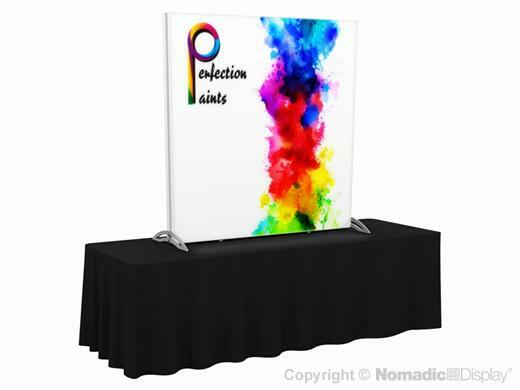 They are a brilliant solution It combines energy saving LED bright white lights with a fabric graphic panel that is custom-tailored for fit and finish to deliver the best possible presentation. Our LightWall Backlit Tabletop travels in a single ShowMate Case that ships UPS and FedEx. The frames are covered by the industry’s best lifetime warranty.